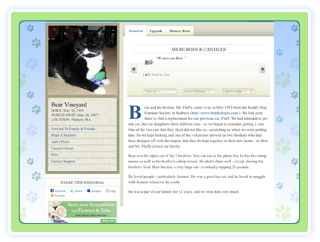 Create an online tribute as a way to preserve your pet's life story in words, pictures, video and music. Embrace the memories of your pet to create a permanent place for yourself, your family and your friends to remember the faithful companion that brought you so much happiness and the special times that you shared together. 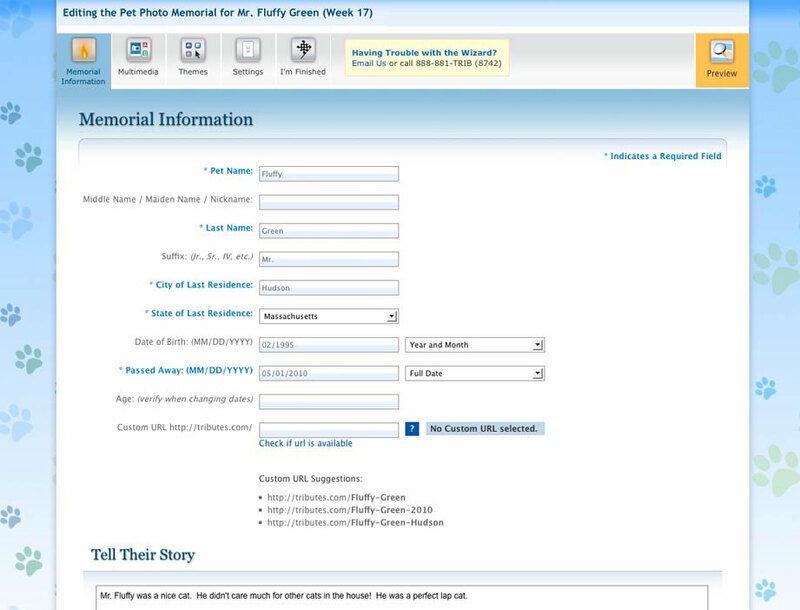 Select from one of two online product offerings, the Eternal Tribute or the Single Photo Memorial, to create an everlasting place to preserve your pet's legacy. 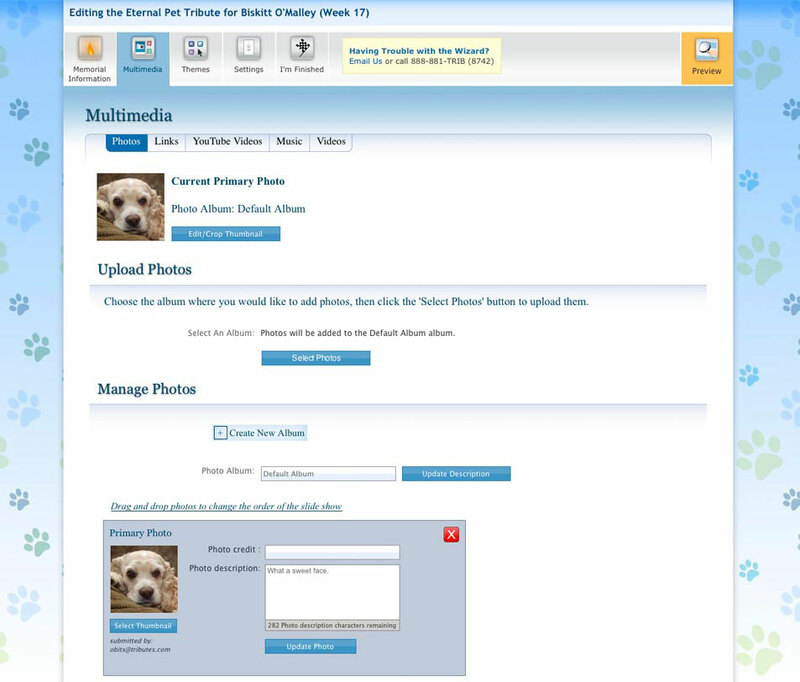 The Eternal Tribute celebrates your pet's memory in pictures in an auto-rotating slide show with support for unlimited photos and integrated video. You will have the option to play the slide show in full screen mode complete with background music. The Eternal Tribute also includes support for pet specific themes, video, web links and a 'Story Wall', exclusive to the Eternal Tribute offering, allowing family and friends to retell stories and shared memories of special times with your pet collaboratively through words and images. It's easy to create an Eternal Tribute using our wizard creation tool. Click here to view a sample of the wizard. If you'd like something simpler, build a single photo memorial. Share a single favorite photo with unlimited copy to fully document those special times, daily walks, quiet times and playful activities for all to remember and cherish forever. Friends and family can leave notes of condolence and memories of your pet in the Memory Book. It's easy to create a Single Photo Memorial using our wizard creation tool. Click here to view a sample of the wizard.